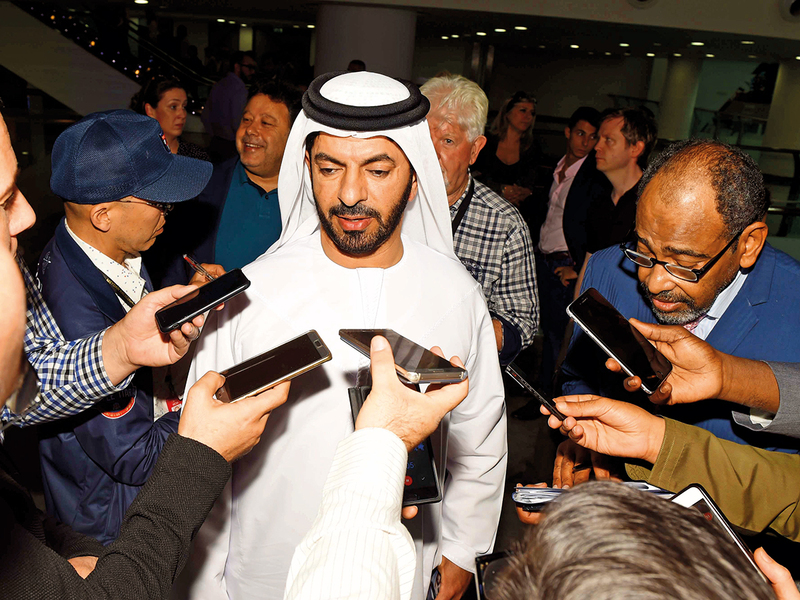 Dubai: Thunder Snow, who set Meydan racecourse alight 12 months ago when storming to victory in the $12 million Dubai World Cup (G1), will have to work harder if he hopes to repeat the feat and make history as the first horse to win the world’s richest race twice. 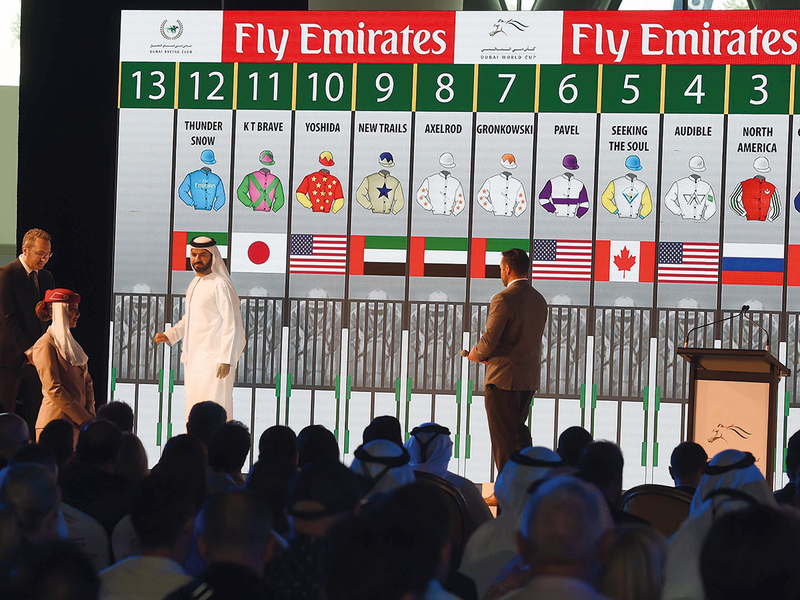 Emirati trainer Saeed Bin Surour’s charge was dealt no favours at Wednesday’s make-or-break ‘Post Position’ draw when drawing the dreaded outside gate. Thunder Snow won the race last year from the 10th gate and the UAE Derby from the 13th! This shows that the outside post doesn’t make any difference. Thunder Snow and his jockey Christophe Soumillon will start out of Gate 12, the last but one stall of the auxiliary gate, with only South Korean hope, Dolkong, faring worse. On the flip side the No. 12 gate has proven lucky on three times in 23 runnings of the race, a stall from which Rose in May (2005), Curlin (2008) and Animal Kingdom (2013) emerged victorious. 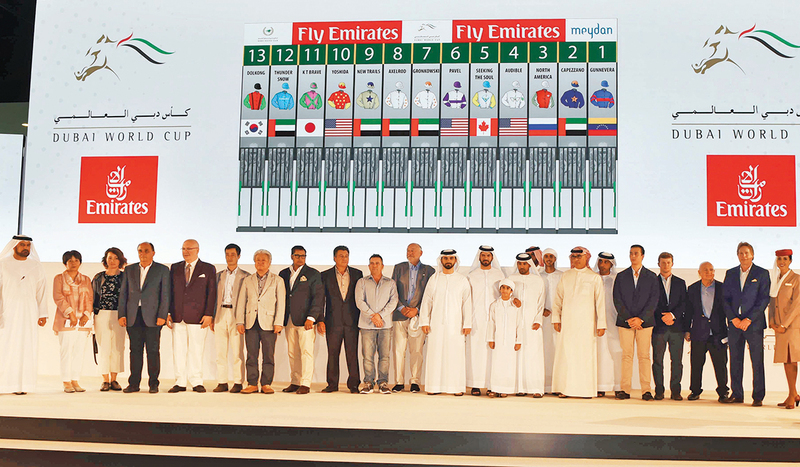 The draw bodes well for another local star, North America, who will break from gate 5, with Capezzano, an impressive three-race winner at Meydan this season, in two. I think number 3 is a safe draw for him. I had come here looking for something between 3 and 5. So I’m happy with that. It’s a good start. Deep closer Seeking The Soul received a plumb draw in five with Breeders’ Cup Classic (G1) runner-up Gunnevera in gate one, another less than favourable position given that there are several speed horses in the race. 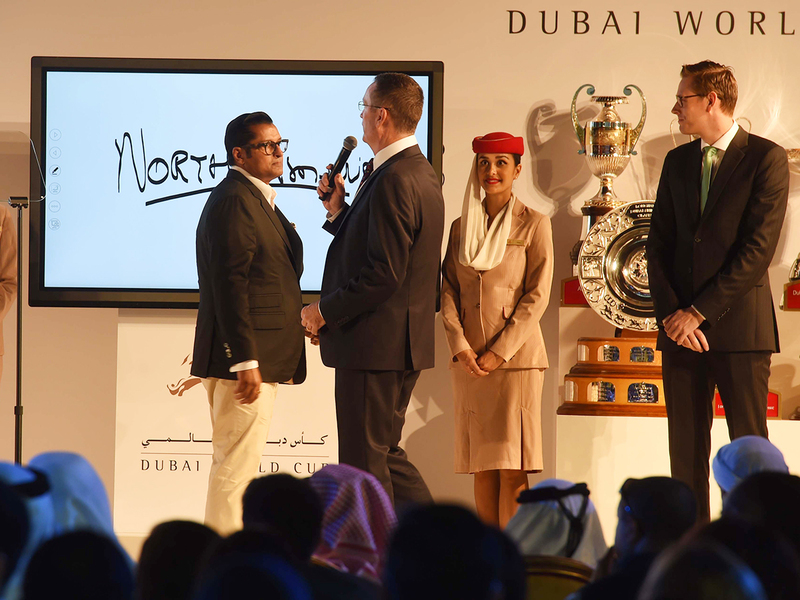 Bin Surour, seeking a ninth Dubai World Cup trophy, admitted that he would have preferred being drawn in the middle but remained realistic of his horse’s chances of making history on Saturday. “It is what it is,” he said of the outside draw. “But if you look at it positively it isn’t such a bad thing. If he can jump out well then Christophe can get him into a nice position on the outside from where he can keep an eye on the others, and then plan his attack. 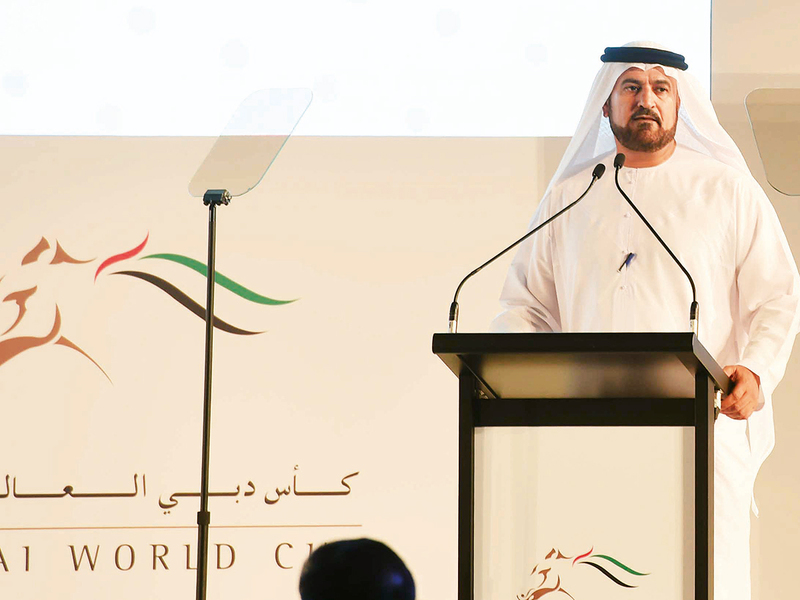 “Having said that, Thunder Snow won the race last year from the 10th gate and the UAE Derby from the 13th! 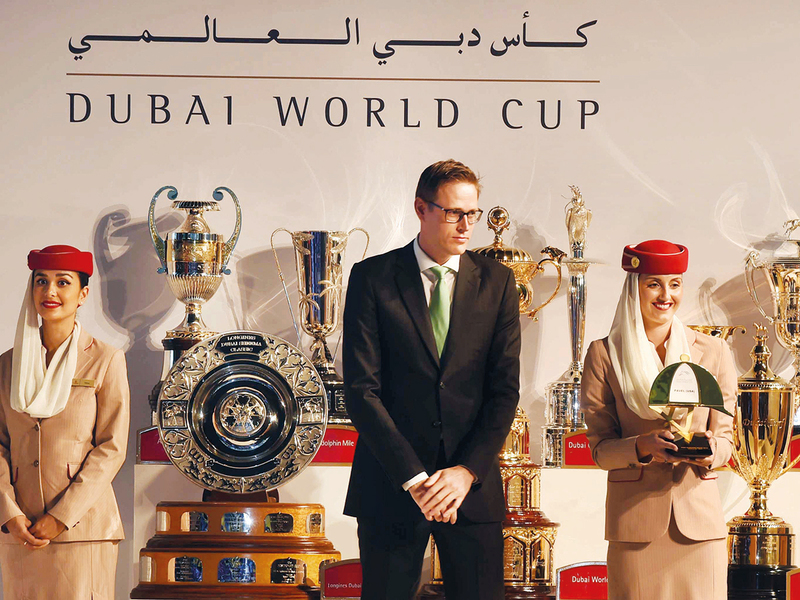 This shows that the outside post doesn’t make any difference if you ride him they way he should be ridden,” Bin Surour added. North America replaced Thunder Snow at the head of the markets at 7/2 (from 5) and his handler Satish Seemar said: “ I think No. 3 is a safe draw for him. I had come here looking for something between 3 and 5. He’s such a great horse among a great group of horses and only one of these will be the winner on the night. 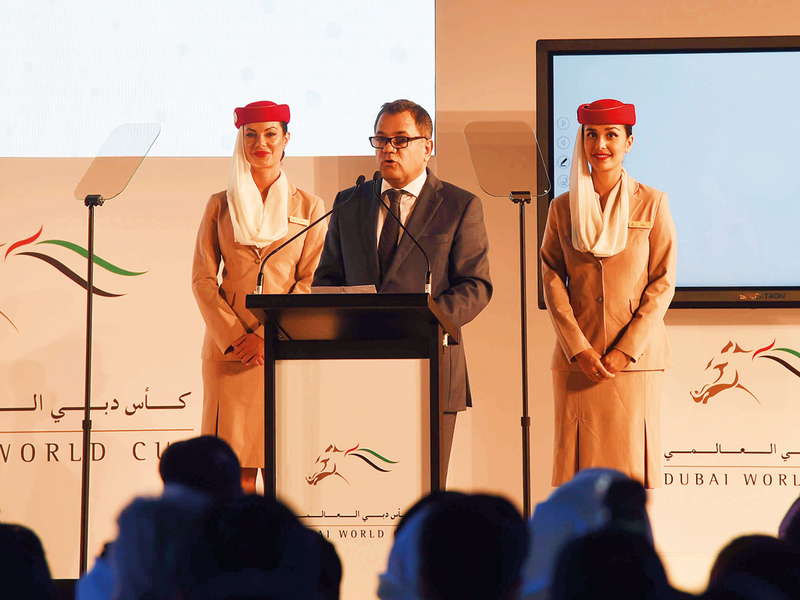 Commenting on why he chose the second gate for Capezzano, who has simply thrived this season, trainer Salem Bin Ghadayer said: “I believe in this horse and he has tactical gate speed to utilise from a low draw. “Over a period of time, he’s got better. Maybe he’s a moody horse, but over the races he’s got much more experience and I believe he will be there. I choose 7 because this may be my lucky number this time. He’s such a great horse and I feel placing him in the middle would suit his style. Commenting on his second string, Axelrod, Bin Ghadayer added: “I am absolutely thrilled to have him beside his stablemate (Gronkowski).